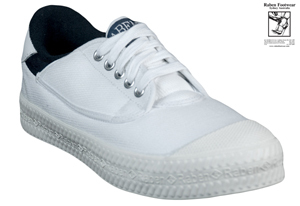 Discounted Ace Sneaker in White and Black Canvas. Now only $20. Hurry While stocks last.